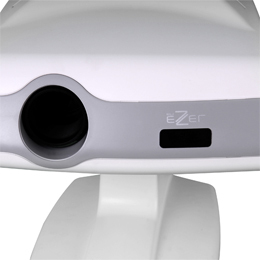 Ezer's ECP-5400 Chart Projector is a compact and lightweight, high-resolution ophthalmic projector that enhances any refracting environment. The ECP-5400 adds the convenience of delivering eye charts to your patients via a programmable remote hand controller. Isolate letters on a vertical or horizontal line or individually. 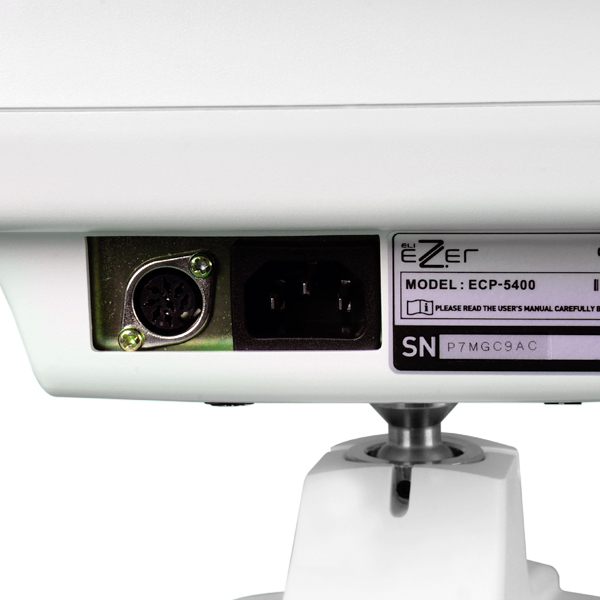 Combine the ECP-5400 with Ezer's other diagnostic instruments to form an Ezer Digital Practice and allow a full digital eye exam to be conducted from Pretest to Rx. Randomly select any of the 31 test charts or use the program feature to create two user-defined chart sequences. The masking controls allow you to isolate horizontal and vertical lines or individual characters. Additionally, you can apply the red/green filter to any chart. Fast and efficient refracting is as simple as the push of a button. With the ECP-5400, complete control is right at your fingertips. Combine the ECP-5400 with Ezer's 7800 series or 5400 series diagnostic instruments to form an Ezer Digital Refraction Practice. The complete suite of products will allow you to perform a full digital vision exam, from pretest to Rx. The ECP-5400 comes standard with a dust cover, polarized metal screen (400mm x 350mm), one pair of polarized glasses, two spare fuses, two batteries, and one spare lamp. 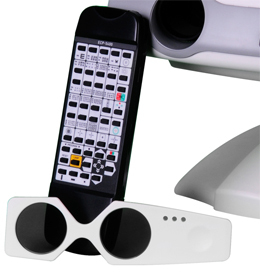 Depending on specific needs and requirements, practices can select from the following optional accessories: table stand, wall bracket, floor stand, red/green glasses, variable focus lens, screen angle fixing set and reflecting mirror.